Vigorous plant, good disease tolerant, adapting many climates conditions, grow all year round. 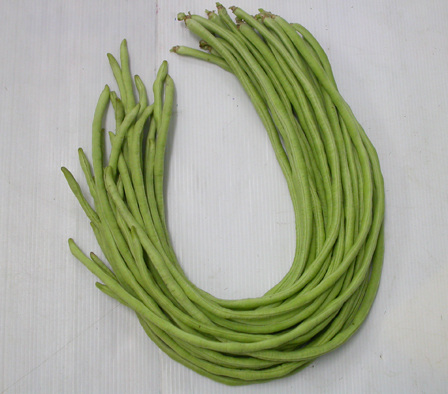 Average green fruit, length 50-55 cm, diameter 0.55-0.6 cm, weight 15-17 gr, red seed, sweet and tasty. Climber plant, less and small leaves, prolific fruit and easy to care, high yield. First harvest at 55-60 days after sowing.